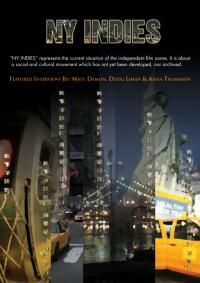 NY Indies traces the independent movement from Robert Downey, Sr. to the new comers, from very low budget filmmaking, to directors (Tom Di Cillo, Amos Kollek), producers (GIl Holland, Lemore Syvan, Avram Ludwig), cinematographers (Ellen Kuras), wardrobe designers (Ruth Carter)....and a premiere with star (and ex-indie) Matt Damon and director Doug Liman. The documentary describes the differences between Hollywood Studios and independent film making, a concept basically unknown in Europe. Nevertheless, "NY Indies" was made as a European independent production, which is unusual, because any film-making in Europe has to go through a long and weary bureaucratic process, in order to get State support, eventually.